PRIVATE LUXURY RETREAT – Unique modern Texas Hill Country home designed & built by Marble Falls custom builder, Matt Fields. 1 story with incredible 30 mile panoramic hill country views. Just 45 minutes west of Austin in fully fenced & gated 830 acre – 230 home site, Summit Springs. Home offers 2.5 acres, covered front & rear porches with uncovered stone patio & fire pit. Walls of windows bring outdoor views into open floor plan-luxury master suite-gourmet kitchen, outstanding finish-outs. A MUST SEE! Please, send me more information on this property: MLS# 2582300 – $635,000 – 648 Bosque Trl, Marble Falls, TX 78654. 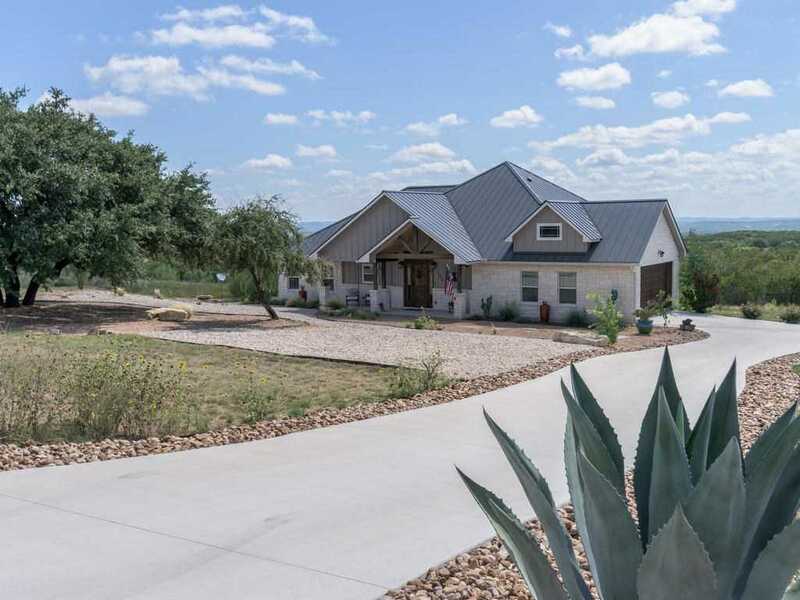 I would like to schedule a showing appointment for this property: MLS# 2582300 – $635,000 – 648 Bosque Trl, Marble Falls, TX 78654.